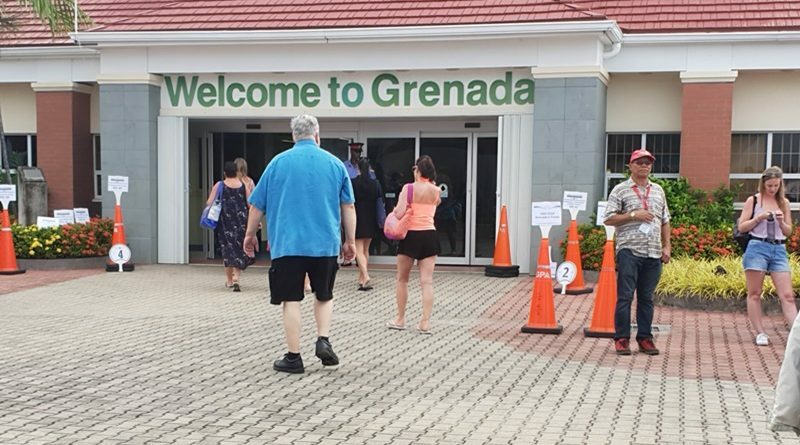 Our ship arrived in Grenada, dubbed the ‘spice island’ at around 7.00am. 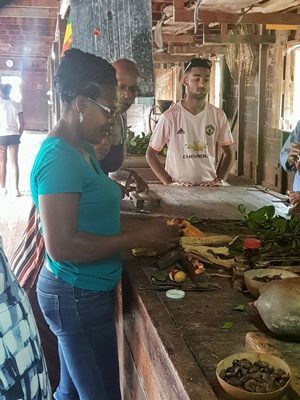 After breakfast on board the Britannia, our party of 12 met in reception for a pre-planned tour organised by local business woman Lucille Sylvester, cousin to Veronia. 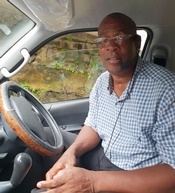 Lucille is from the UK but has lived in Grenada for many years and has several successful tourism businesses providing holiday accommodation, tours, weddings, conferences and car rentals. She made all the arrangements, greeting us at the port with gift bags. 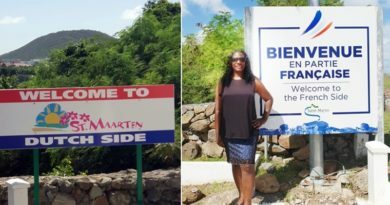 She also coordinated our island tour through Edwin Frank Tours in an air-conditioned bus. 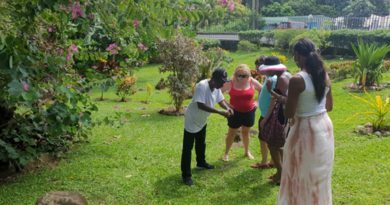 Edwin (pictured left) represents the crème-de-la-crème of holiday tour guides with narration that was professional and informed, providing both historical and political perspectives of Grenada’s past as well as contemporary issues. We were even treated to a tune or two on his harmonica. 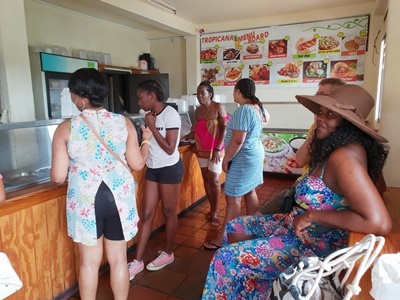 Our tour took the scenic route through the parishes of St. George and St. John, stopping at the Spice Basket, before heading for the Concord Waterfalls. 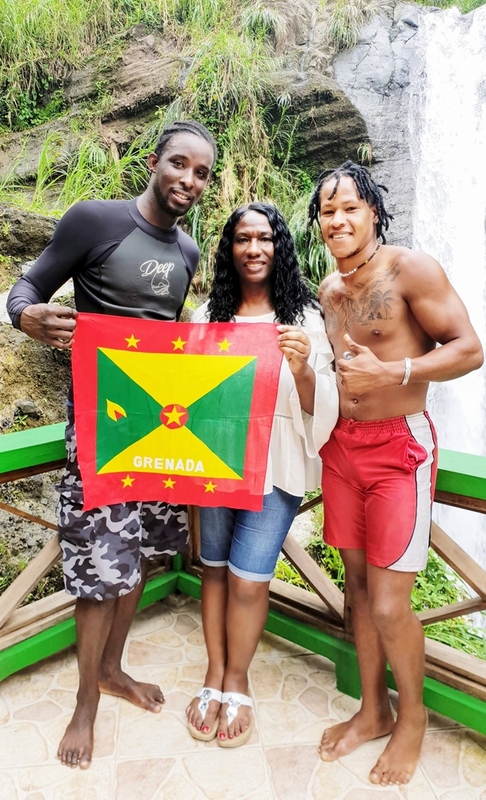 There we were treated to a sensational display of skill, agility and acrobatics by Travis (pictured) and Devon, two athletic young Grenadians, whose jobs as official representatives of the Tourism Board, involve leaping from the top of the waterfall for generous donations from mesmerised onlookers. From there we headed to the Tropicana Inn (pictured below) to collect take-away lunches before heading to the beach and Umbrella’s beach-side bar, where we were able to get free WI FI along with cold beer and use the bathroom facilities to change into swimwear. A few of us braved the sea, which was warm and therapeutic. Once my tired limbs entered the salt water, my aches and pains brought on by intense dancing in high heels the previous evening melted away! After that there was just long enough to catch a few rays of sun to dry off, before it was time to return to the mini-bus for our ride back to the port. It was the best day of the whole cruise and the first place to feel like a ‘real’ Caribbean country. Locals were incredibly warm and friendly and it really felt like ‘home’. 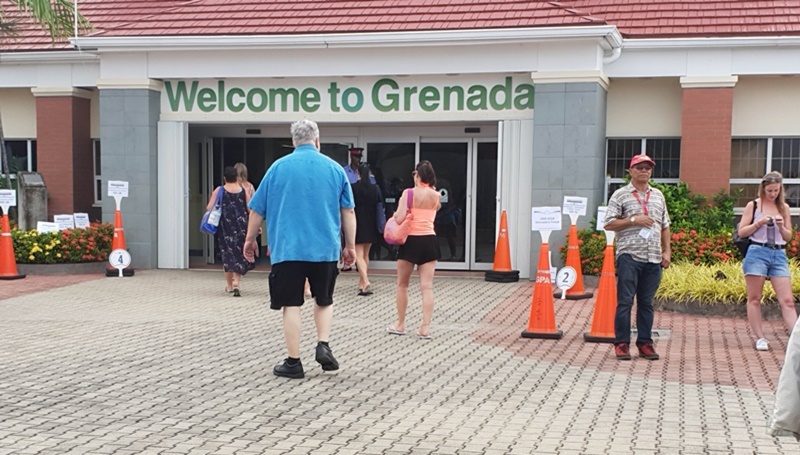 One or two tears were shed as we all said our goodbyes – but I’m pretty sure that many of us will be visiting Grenada again in the not-too-distant future.